What's your favourite Misty's Pokemon? Who do 당신 like better with her? When does Misty's Birthday fall? What is your favourite episode that revolves around Misty? Misty is a 10 년 old girl, with a hot temper and fiery red hair. She can have a TERRIBLE attitude, but cares for her Pokemon and other people! Did 당신 know in the Japanese version of Pokemon, her last name was "Yawa?" Her first appearance was in the first episode of Pokemon! She traveled with Ash and Brock (and Tracey) for 5 seasons, then left the show because her older sisters made her run their gym. Believe me , I felt it silly at first to write diaries. But situations forced me to do so now....................and I hope I'll enjoy. I really wanna make a new beginning.........you might think..but why? Today I am the greatest water pokemon master..........I accomplished my dream.................so why new beginning? Cause i want 더 많이 than success..........i want love! I will tell 당신 everything.........but promise you'll listen. There has been a lack of 팬 because Misty may never come back. Really people, why would 당신 leave your fandom for such a fowl reason. Does it really matter if Misty ever comes back? Does it matter if she even has a cameo in the show again? Nobody has forgotten Misty, not the pokemon company, not no one. For all we know, the pokemon company might want her back as much as we do. Well, let's see. She has been here since 1995! She was the first female to ever travel with Ash. It is hard for me to even think about people that don't know who Misty is. Her nickname is the 'Tomboyish Mermaid'. Some people dissagree with Misty bieng a 'tomboy' and such, but think. It was not us 팬 that gave her that nickname. It was the pokemon company itself, so why would they name her that, if she was not a tomboy. 저기요 everyone! If 당신 have Pokemon X, Y, Omega Ruby, 또는 Alpha Sapphire, 가입하기 this RolePlay and experience a Pokemon world like none other in this Online Live Action RolePlay! a comment was made to the poll: Do 당신 miss Misty? a comment was made to the poll: Out of Misty's dislikes, which do 당신 dislike the most? 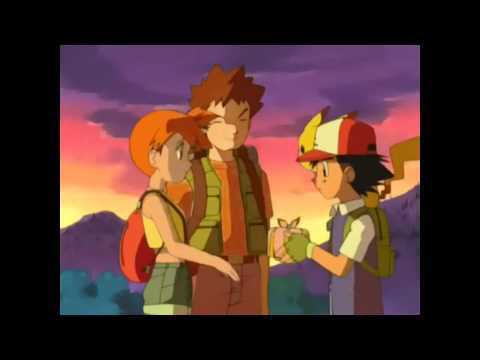 what did misty give ash when misty perminently left their group?